My go-to movie for laughs. 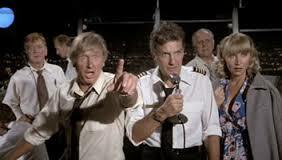 Airplane! is slapstick, absurdity, puns, and gags. Parodying the disaster film genre so popular in the 1950s thru the 1970s, I’d recommend you watch 1957’s Zero Hour! to understand where this was spawned. The actors, many of whom were well-known for serious parts before being corrupted to this madness, such as Lloyd Bridges, Peter Graves, Robert Stack, and Leslie Nielsen really make this film. 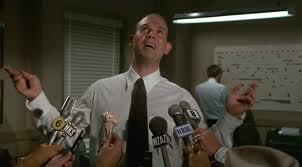 Airplane! is palpably predictable, idyllically immature, feverishly foolish, cheese on top of corn topped with cheese, but that’s what makes it perfect. It’s so wrong it’s right. I’m proud (maybe that’s too strong a word) to say at one point I could literally recite this movie word for word. Surely I can’t be serious? 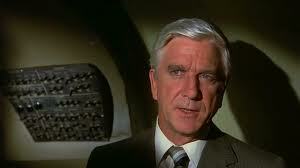 Yes, I am serious and stop calling me Shirley. 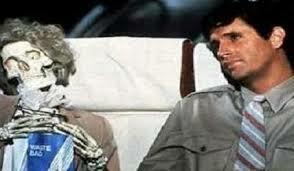 Airplane II: The Sequel had a sci-fi twist and William Shatner so I was already happy. Most of the cast came back, but not the writers & directors. So, maybe it didn’t have the same shine as the first, but I think it still had some hilarious moments. I never get sick of watching that movie. This is a great movie… Time to watch it, when you’re trying to relax and laugh quite a bit.